Losing your cell phone for even a day can be quite the headache in our cell phone-crazed world. Your cell phone might well be your most-used personal item and is an essential dorm item—blame it on those developers producing a steady supply of ever handier and cooler apps. In college, your phone will be even more essential with college life in the mix. It’s your lifeline to a new groups of friends, a quick tool to check your .edu email address, and even your beeping reminder to make sure you’re not late for that 9 a.m. chemistry test. You’ll have plenty of dorm supplies and electronics for college to keep track of, from your laptop to your iPod. And even if it’s a little old or not the speediest at web browsing, that trusted cell phone needs to be taken care of in college, too. Step one involves not losing it, and that’s where DormCo can help you out. That dorm room may be small, but you’ll be surprised to see that it’s easy to lose things in, especially if it’s messy. Like the TV remote, you can be sure the cell phone tops the easy-to-lose-items list if proper dorm organization is not in place. Instead of scrounging through your dirty laundry in search of that old phone, be proactive: don’t lose it in the first place. Have a spot designated in your room where you’ll keep your phone, and make it specific. That bed of yours is nice for sleeping, but put it to work.Use your bed’s posts for storing that cell phone in a handy pocket or perch it up on a bed shelf. Or, try a Stick UM—quite possibly the coolest means of cell phone storage! By keeping the phone in a small, specific spot, you'll never have to search for it. If your storage spot is a drawer, for example, that drawer's bound to turn into a clutter-filled cell phone trap over time. And when it’s time to head out, you’ll probably jam your cellphone into your pocket or stuff it in a purse. Those are acceptable means of transportation, but you could carry that beloved phone with some style and keep it safer. 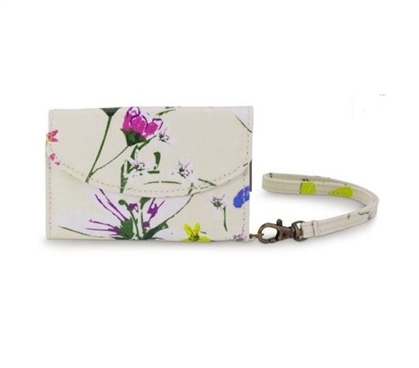 Keep your phone in a colorful wristlet or store it in our arm and ankle wallet for maximum security. Even when on the go, keeping your phone in a designated spot will reduce those annoying lost cell phone instances. If you find yourself living in a dorm that’s had more than a couple incidents of theft, cell phones lying around d orm rooms will be prime targets. Dorm security supplies are great for living securely, but you might be looking for something more than a shelf or pocket for phone storage. Don’t worry, we’ve got your back here too. 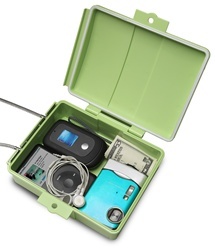 At night, keep your phone in one of our popular Go Vault dorm safes for a simple yet secure solution. Since it’s such a trusted friend, keep that phone in good condition—you know by now that it’s a vital college-life tool. Don’t forget to pack a couple items for cleaning that screen. Dorm rooms are small and can get pretty dusty, and your phone won’t do you much good if you can barely read its screen. And always plan for the unexpected: keep a Bheestie Bag handy just in case the old phone falls victim to a spilled drink or sustains any sort of water damage. The truth is, you’ll have bigger things to be concerned about than the whereabouts of your phone. So prepare your dorm supplies and your dorm room, and your phone will always be there for you, like a trusted and reliable friend.